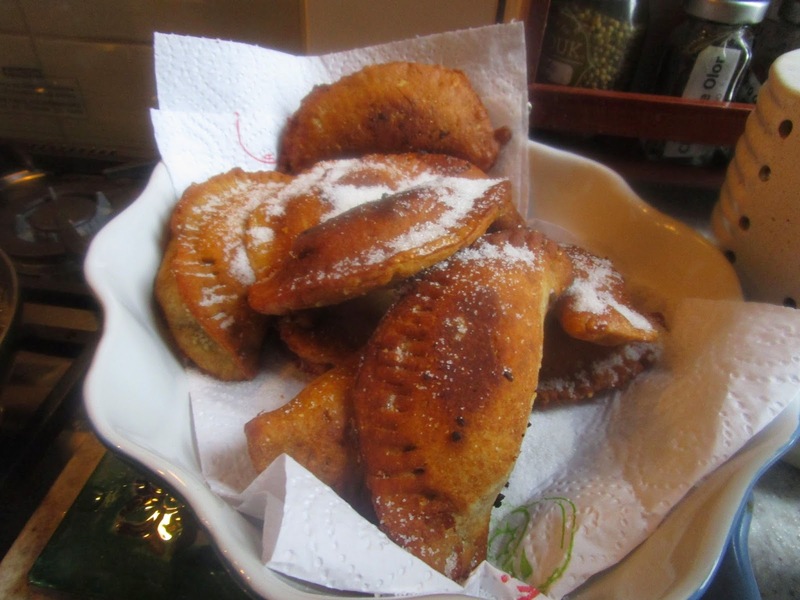 Medieval Spanish Chef: FRITURAS WITH 13TH CENTURY RECIPE FOR A SWEET CALLED "THE JUDGE'S MORSELS"
FRITURAS WITH 13TH CENTURY RECIPE FOR A SWEET CALLED "THE JUDGE'S MORSELS"
Eng. fritters, fried dishes. 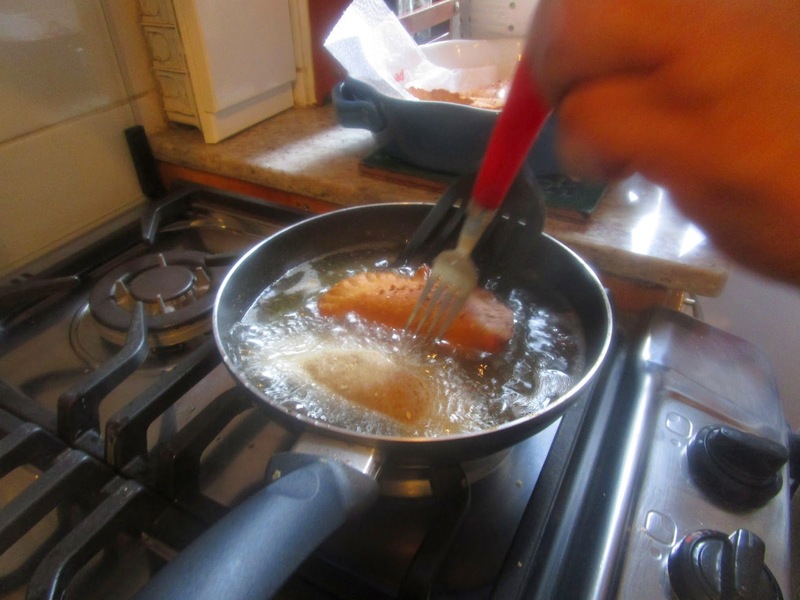 Although, fritura literally means the grease in which something is fried, oil or lard, in Castellan it refers to any food that is fried. Grind sugar with three times the quantity of peeled almonds and add spices. Make the dough and roll it out. Cut it like empanadas. Roll the almond filling into the size of a walnut and put it into the center of each piece of dough. 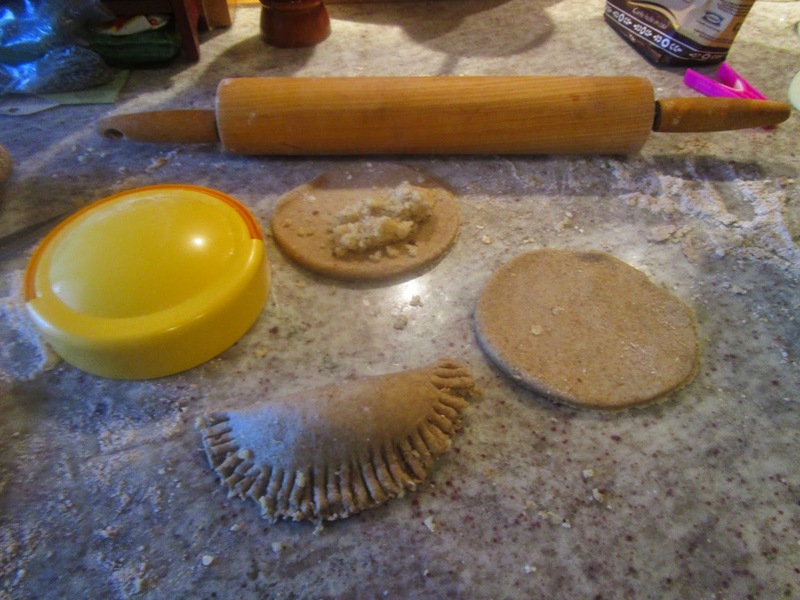 Fold the dough over to enclose the filling. Paint the edges with egg and seal the them shut pressing them down with fingers and then and then marking them with the prongs of a fork. Deep fry the morsels. When golden brown remove and place on paper towels letting the oil run off. Sprinkle with sugar and serve. See blot titled cadi for the Al-Andalus recipe for the same. See blog titled cardamomo published Aug 16, 12 for recipe. 1 c semolina flour and 1 ¼ whole grain flour were used.